[prMac.com] Xi'an, China - Xi'an Pantuo Internet Technology, Ltd. is proud to announce the German language version of their popular PDF editor, PDF Bearbeiten Mac 3.2, will be free for a limited time. 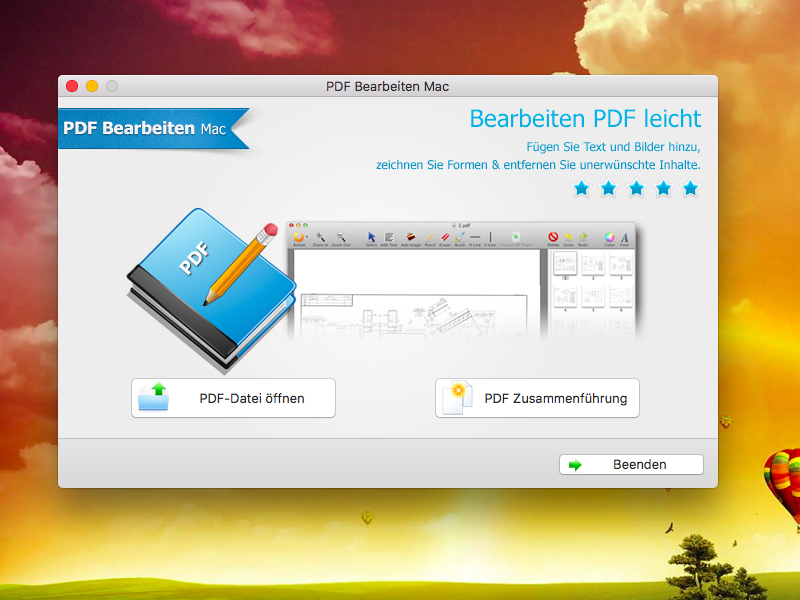 PDF Bearbeiten Mac allows Mac users to easily modify and edit PDF documents. Anyone can add text, insert images, remove unwanted content, draw lines and rotate document pages, all without the need to have Adobe Acrobat installed on their Mac. PDF Bearbeiten Mac 3.2 - and the accompanying Windows version, PDF Bearbeiten for Windows - will be available free for a limited time. 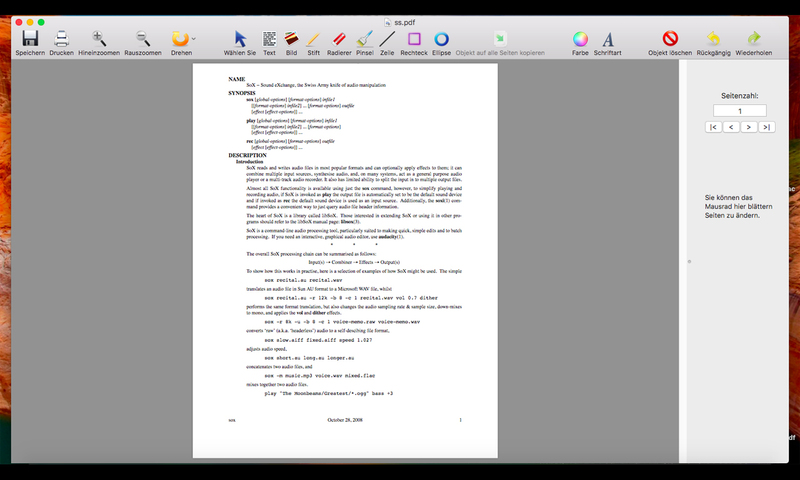 The app is usually priced at 29,99 EUR, but through February 20,2017 Mac and Windows users can download the popular PDF editor at no cost. "We have received wonderful feedback from the users of PDF Bearbeiten, and they tell us the love the app and find it incredibly useful," says Xi'an Pantuo Internet Technology, Ltd. CEO Woody Wu. "We decided the best way to demonstrate how great the app is to everyone is to do a giveaway, putting it into the hands of users who wanted to try the app, but were reluctant to spend the money. We know once those users try PDF Bearbeiten, they'll tell others about it!" Founded in 2010, Xi'an Pantuo Internet Technology, Ltd. is a software development company specializing in conversion and editing applications for PDF documents. The company's most popular products include PDFZilla, PDF Bearbeiten, and PDF Eraser. The company's applications consistently receive five-star ratings and positive reviews for technical excellence from several download sites, including CHIP, Brothersoft, Softpedia. All Material and Software (C) Copyright 2017 Xi'an Pantuo Internet Technology, Ltd. All Rights Reserved. Apple, the Apple logo, Macintosh, macOS and Mac OS X are registered trademarks of Apple Inc. in the U.S. and/or other countries. Other trademarks and registered trademarks may be the property of their respective owners.